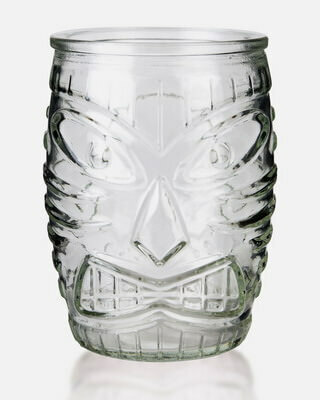 Our Polynesian-inspired Personalized Tiki Beer Glass is perfect for rum based drinks. 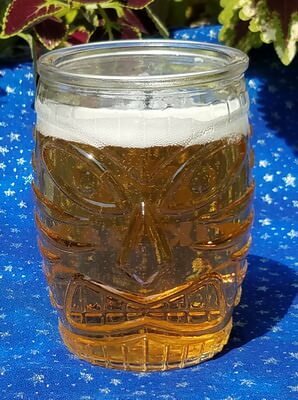 This unique beer glass has an oval for your engraved text/design on one side and the other side is made with the classic Tiki face as part of the glass. Check out the alternate pictures above to see it. It is 4.75 inches tall and holds 16 ounces. 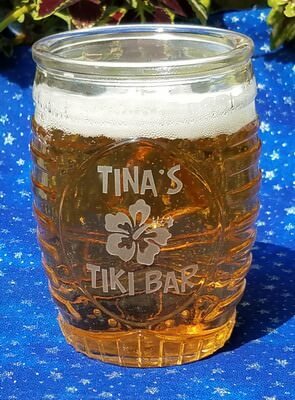 Personalization, text and/or design, on the front of the Tiki Beer Glass is free, this glass cannot have anything on the reverse side. We suggest keeping your text to 4 lines of 15 characters per line, it is okay to go over, it may just be smaller to fit it on the glass.